Scientists have for a long time been searching for the missing Methane on Mars. However, using data from probes on Mars, researchers have finally put an end to the search. One of the most life-essential gases there are has finally been detected on the Red Planet, and scientists may also be able to reveal its origin. Researchers first got a hint of the gas 15 years ago when a European spacecraft caught it in traces in the Martian atmosphere. However, given that methane is a gas that dissipates quickly, researchers couldn’t accurately confirm the readings. A debate about the traces of the gas has been going on for a long time, especially because it’s very challenging to observe the Martian atmosphere. The findings of the research were reported in the journal Nature GeoScience. Now, a group of researchers around the world compared two different observations which were taken only a day apart in 2013. 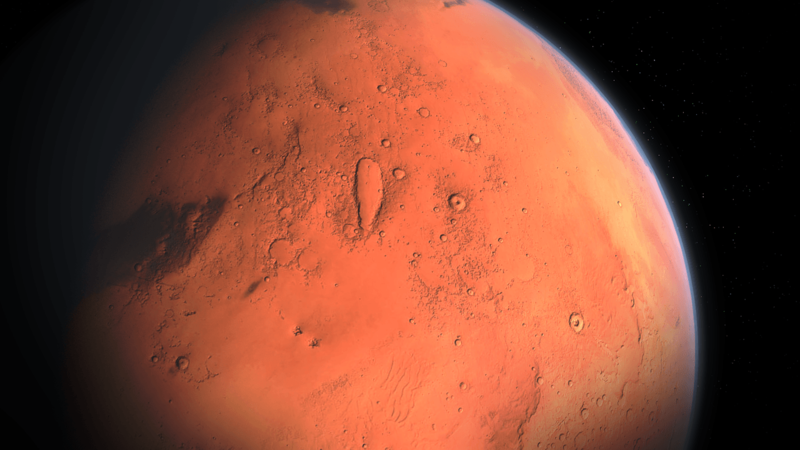 The comparison revealed that there’s independent proof of methane on the Red Planet. Researchers also found in two separate experiments that the methane is most likely coming from a frozen methane sheet east of Gale Crater. Gale Crater is believed to be a long dried up lake. The European Mars Express spacecraft measured 15.5 parts per billion on Mars’ atmosphere just above the Gale Crater on Jun. 16, 2013. One day earlier NASA’s Curiosity rover also detected the presence of traces of methane. Comparing the data, Giuranna and colleagues divided the area surrounding the crater on Mars into grids measuring 250 by 250 square kilometers. One research focused on a million simulated emission scenarios for each grid section, while the other team focused on the images of the Martian surface looking for features on Earth which show up after methane is released. Researchers believe that the methane on Mars is actually coming from a frozen sheet which is located beneath a rock formation. The team thinks that occasionally a portion of gas is released into the atmosphere. However, Giruanna noted per the report that even though methane is one of the essential gases which indicate presence of life on Earth, it doesn’t necessarily mean the same on Mars. According to Giuranna, further research will be conducted to determine the amount of methane ice lying near Gale Crater. If it proves to be prominent, astronauts on manned Mars mission could use the methane on Mars as a source to “support a sustained human presence.” Methane could prove a good fuel for the spacecraft, as well as a propellant which could return astronauts back to Earth.